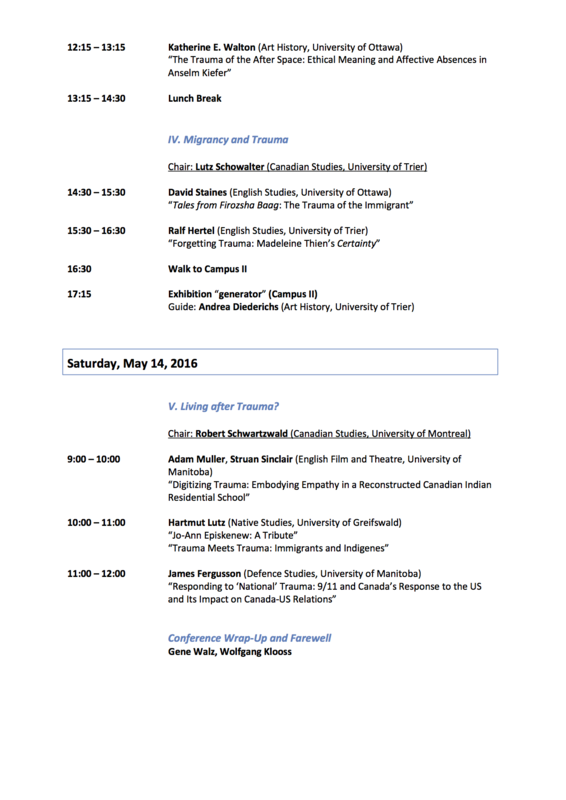 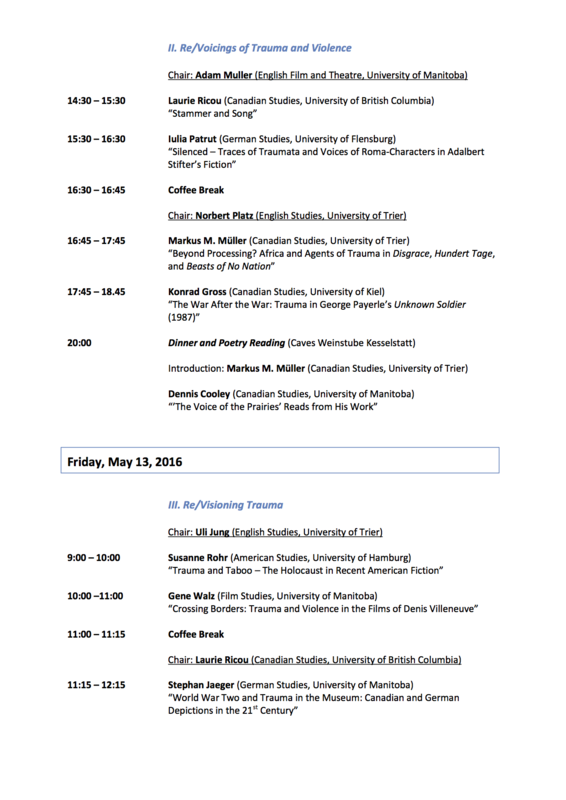 Organized by the Trier Centre for Canadian Studies, the upcoming partnership conference of the University of Trier and the University of Manitoba will explore the topic of "trauma", adding a comparative German and Canadian voice to scholarly debates on this important theme. 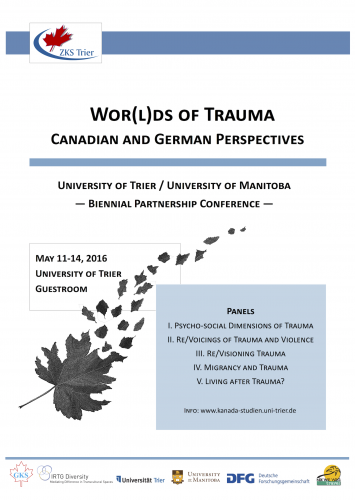 Bringing together researchers from both sides of the Atlantic, the conference features panels on Psycho-social Dimensions of Trauma, Re/Voicings of Trauma and Violence, Living after Trauma?, and other aspects connected to the overall theme. 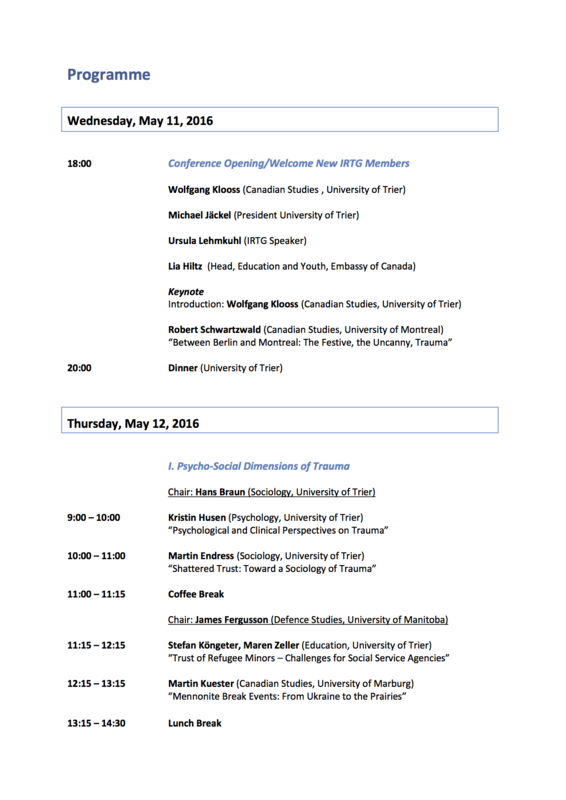 See the images above or the link below for the conference program.